Interesting thing about patriotism, at least here in the U.S. -- it's no longer questioned that people are trying to capitalize on it monetarily. I mean, there's always been some degree of that -- the sale of mass-produced American flags goes back to around 1860 -- but it seems to be taken for granted any more that late June/early July will feature a ton of flag-themed and overtly 'patriotic' commercialized messages. 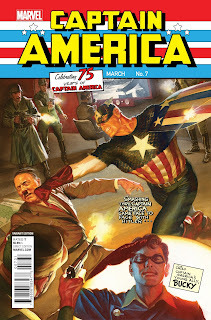 As a quick example, take a look at the recent business surrounding Captain America's history being re-written so that he's always been an agent of Hydra. Many people noted that it was an obvious marketing ploy, designed to attract attention, but that the big reveal of the truth behind what was happening came out only last week speaks to the additional marketing behind the story. The ultimate patriot revealed to be a traitor, only to be revealed to still be a patriot just days before Independence Day? You're telling me that wasn't planned to capitalize on a general interest in all things red, white and blue that comes around this time every year? It's certainly a very canny bit of scheduling on Marvel's part, and kudos to them for pulling that off. I can't speak to the quality of the story (I haven't read it) but they definitely were on point when it came to the marketing of it. But to my original point, no one batted an eye at that. "What? 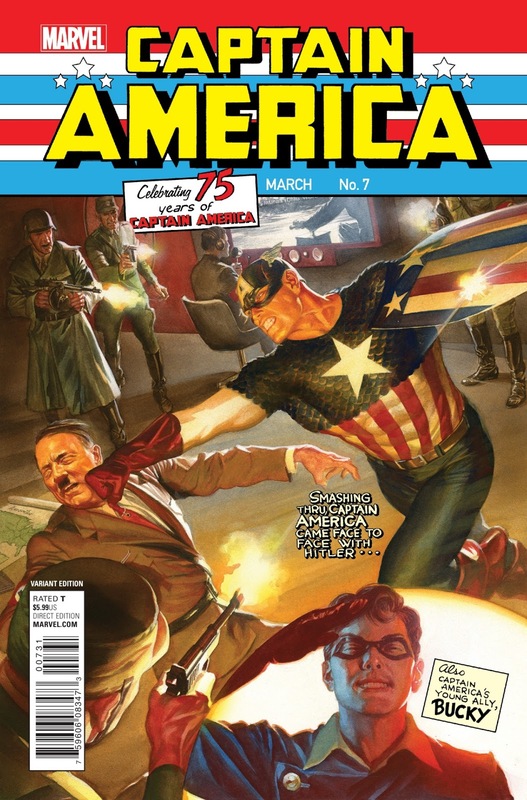 Of course they'd play up a Captain America story just before July 4." Doesn't that, in and of itself, make you wonder about the role of patriotism in society today? Something to mull over while you're waiting for fireworks to start tonight.